The word “symmetry” comes from the Greek word “symmetros,” meaning balanced proportions or balanced measures. The word “symmetrical” means the quality of parts matching one another, as in mirror image or features that correspond to one another through angular rotation. There are many examples of symmetry in nature: starfish, birds, fish, humans (bi-lateral symmetry in arms, legs, nose, eyes, brain), etc. 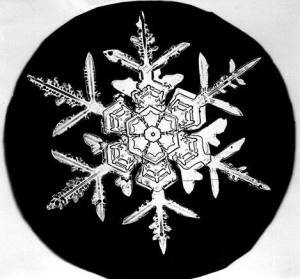 Examples of symmetry can also be found in physics, crystallography, visual art, music, etc. We normally associate symmetry with beauty. And, symmetry is the lowest energy, most resource efficient configuration. Business possesses symmetrical properties as well. There is a buyer and seller (trading fish for furs, for example), which makes for two-fold symmetry. Competitive business has six stakeholders: employees, suppliers, customer, investors, communities, and competitors. This makes for a six-fold symmetry. Non-competitive business (monopoly or oligopoly) has five stakeholders: employees, suppliers, customer, investors, and communities. This makes for an unusual five-fold symmetry. Balance and fairness are representations of symmetry; i.e. balanced life, balanced scorecard, balanced diet, balance sheet. We recognize balance as good and imbalance as bad. Business is a natural process when it is symmetrical, but an unnatural process when it is asymmetrical. Asymmetry in business introduces time delays and process inefficiencies that consume greater resources. Thus, there are always penalties for introducing asymmetry. For example, asymmetry is introduced when leaders favor one internal or external stakeholder over another, such as finance over human resources. Asymmetry is introduced when leaders declare (incorrectly) that the purpose of business is to “maximize shareholder value.” This contrived purpose breaks symmetry, introduces imbalances, and results in ugliness, especially for employees and suppliers. Managers whose decisions are zero-sum (win-lose), introduce asymmetrical outcomes for affected stakeholders. But, nobody wants to be the loser. So, why purposefully make people losers and introduce resource-consuming asymmetries? Yet, managers freely introduce asymmetries, as if it is their privilege to do so whenever they desire. This persistent cognitive error – that it is OK to break symmetry and also ignore resulting inefficiencies – goes against the natural process and limits the life of business and the livelihoods of people. Humans desire symmetry in the form of beauty, balance, and fair outcomes. Asymmetry feels wrong and is confusing, especially when it exists in the work that organizations do to satisfy customer needs. Understanding the inherent symmetrical nature of business should drive leaders to want to restore symmetry. But, how can one do that? Lean management is infused with concepts and practices to help assure balance. Understanding this informs us of the inherent superiority of Lean management, when the principles “Continuous Improvement” and “Respect for People” and associated methods and tools are correctly understood and applied – what I call REAL Lean. Batch-and-queue processing is confusing, unbalanced, and asymmetrical, and it consumes the most resources. Flow is clear, balanced, and symmetrical, and it consumes the least resources. Waste, unevenness, and unreasonableness are unbalanced, asymmetrical conditions. Lean methods and tools are used to indicate or correct these abnormal conditions. “Respect for People” is the counterbalance to continuous improvement, to avoid situations and outcomes that harm people. Managers who, over time, understand and practice Lean well have developed bi-lateral symmetry in their comprehension of the “Continuous Improvement” and “Respect for People” principles, and are therefore better able to balance people and profits to yield non-zero-sum (win-win) outcomes. They have learned from nature. It is important to realize that when a business gets into trouble, its leaders commonly restore symmetry by asking all stakeholders to assist the organization in its recovery. This is a temporary return to nature, at least until the crisis is over. Therefore, symmetry is conditionally important to leaders when the threat is existential. The challenge is to remove this special (yet recurring) condition – getting into trouble – and help leaders realize that business functions best as a natural process, and therefore the least resource intensive, only when Lean is the system of management used for the entire enterprise. Business is a natural process when it is symmetrical. By understanding this, one realizes that there is more to Lean leadership than simply how leaders should behave. Behaviors alone, as the determinant of effective Lean leadership, introduces asymmetry into the “Respect for People” principle and reduces both its beauty and effectiveness. Read the next post, Restoring Symmetry.